Human Flourishing: learn to take of yourself now so you’re able to do it later! Integrated learning: “learning is important, but it’s not all you do. How do you put everything together – the internship, the extra-curriculars – to build yourself and get where you want to be? Practice time for the hockey team! Although diversity and inclusion are, on paper anyway, part of the Dominican tradition, people we talked agreed that the college was not as diverse as they’d like but it’s gotten a lot better in recent years. “It’s the #1 strategic goal. We’re 18% non-white. We’d like to get to 25%.” The LGBTQ community is “not a closeted presence” and seems to be well supported. “Our students are overwhelmingly involved in service, athletics, etc. That’s a major characteristic.” They’ve put a lot of money into athletic facilities: all of them are new within the last 10 years (most within 5). PC has been ranked as the #1 school for intramural involvement. This is also a big hockey school. Arts and Sciences: every person takes classes in this school regardless of major. They were 1 of the first to offer a major in Public and Community Service; their program is nationally recognized. Professional Studies is the smallest school and consists of Applied Programs such as Education (Secondary and Elementary/Special), Health Policy Management (one of the fastest growing majors), and Social Work. The BSW is so strong that students can often start their MSW with advanced standing. “We’re the liberal arts in service to others.” This school gives them flexibility to pursue things like pre-med, MPH, hospital admin, etc. Business: Students become proficient in writing, oral communication, civic engagement, and diversity. They offer 4 majors in a new building (opened in January 2017). First-year advising workshops are offered every other week for the first semester covering career education, study abroad, the curriculum, etc. They bring in alumni and faculty to talk about what they do with the majors. 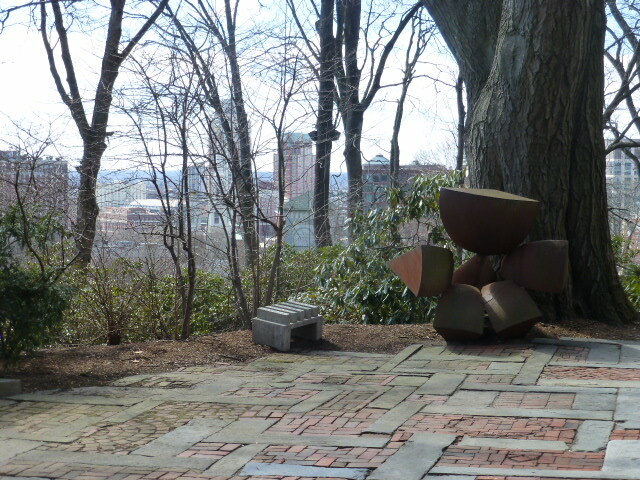 Brown has the most flexible curriculum of the Ivies. There are no required classes, so people want to be in the classes they register for. Our tour guide said, “people are very in control of their lives here.” One of her favorite classes was her FYS – Italian Studies; she loved the integration, and she really got to work on her writing. Another guide told me that she choose Brown because “I wanted a place to balance me out. Everyone here has a passion.” One thing they would both change is the advising. “There’s almost too much. Everyone has different opinions and they think they’re right!” In addition to an academic advisor, there are resident advisors and meiklejohns (a peer advisor). When the university was founded in 1764, it was criticized for being so large – with 7 students! Now, even with 6,500 undergrads, they manage to keep academic classes relatively small. They have one 500-seat lecture hall, but only 4% of classes have more than 100 students; 70% have 20 or fewer students. Campus is relatively spacious but walkable. 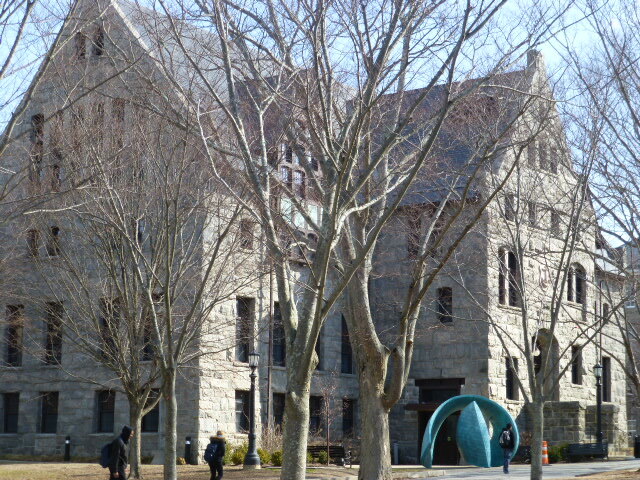 Simmons Quad (complete with a statue of Marcus Aurelius) is the physical center of campus. From there, you can walk anywhere from that point in 7 minutes (less if you hustle!). This is only one of several Greens around campus. The Quiet Green (named for obvious reasons) has plugs on the lampposts so students can use their computers outside The main gates from the road open twice a year – once for the new freshmen to come through (“People applaud; it’s kind of a cool way to be welcomed to campus!”) and again for seniors to leave at graduation. They aren’t supposed to go through the gates except those two times “or they won’t graduate or get married.” This quad also is home to the College Bell which rings when Brown wins a football game or a major world event happens – “both equally rare,” said the tour guide. Behind the Quiet Quad is the Main Quad; this looks more like a traditional college quad and hosts many of the college events including the much-anticipated yearly Spring Fling. They also have a “Greek Quad” with the Greek dorms. The school charter says that only half of the house can be Greek. The rest of the rooms have to be reserved for Independents. About 10% of the student body is affiliated. Although housing is guaranteed all four years, 70% of seniors choose to live off campus. “Some off-campus housing is closer to academic buildings than the dorms are,” said one of the students. Juniors can move off, but it’s harder to do this so most wait until senior year – and they aren’t unhappy on campus. Our tour guide said, “I don’t leave campus much. There’s too much going on here.” Although it’s difficult to have cars (parking in Providence is limited), it’s easy to get around town, take day trips, or travel to get home. The bus and the train stations are a 10-15 minute walk from campus. A bus ticket to Boston costs $10 making it an easy and cheap outing. Sports and Arts are both big on campus. There are 37 varsity sports (gymnastics recently won championships) as well as lots of intramurals including inner-tube water polo and cornball. 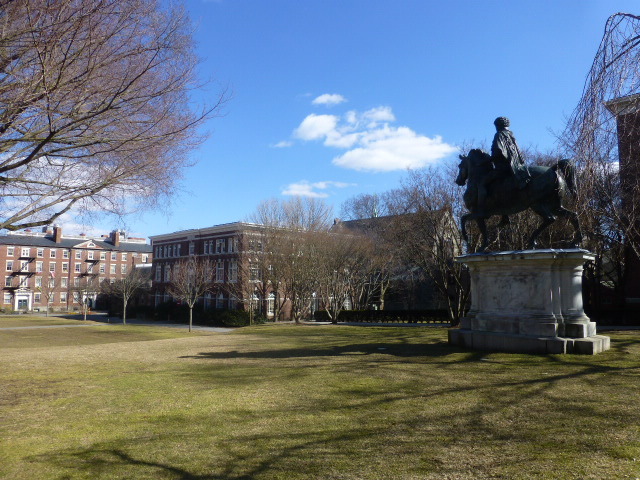 Brown students can cross-register for 4 classes at RISD “but that’s pretty loose. I know someone who took 8.” Not surprisingly, they have a bunch of a cappella groups (what bigger school doesn’t anymore?) including ARRRcappella (pirate acappella), Jockappella, and more. There also have 3 improv troupes, and anyone can take part in theater productions. They own the largest Hutching-Votey organ in the world, and they hold four Midnight Organ concerts on “the 4 scariest nights of the year”: Halloween, the nights before fall and spring finals, and the night before the first classes in the fall. The Science Library, voted the ugliest library several years running, is the tallest point on campus with 14 floors; “the joke is that the books get more basic as you go up” (even the tour guide admitted to this being a bad science/PH scale joke!). However, it has been used as a huge Tetris game! 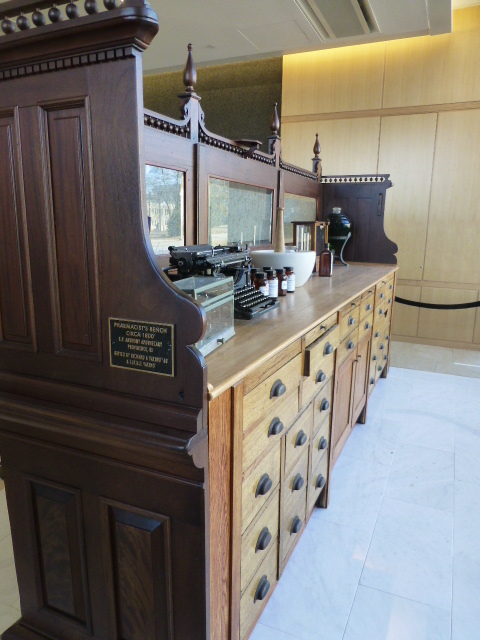 Brown also has 3 “sacred libraries” which don’t allow books to be checked out. One has the largest collection of tin soldiers in the country (world? ), flowers from Lincoln’s funeral, and apparently 3 books bound in human skin. Providence is a beautiful, hilly, historic city with unique events with plenty of options for recreation; there are lots of street performers, vendors, Gallery Nights, and more including Waterfire (started by a RISD alum), an annual event on the river running near campus. With five colleges, Providence is a college town (and has been named as the #3 Best City for Foodies). 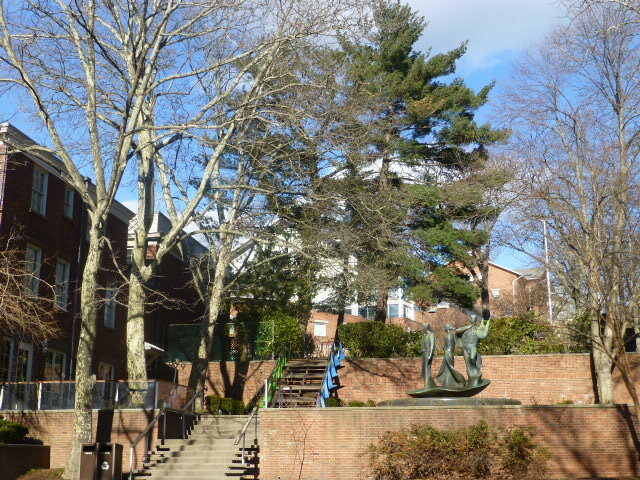 RISD is a highly residential campus. Freshmen and sophomores must live on campus, and 70% of all students live in university housing. 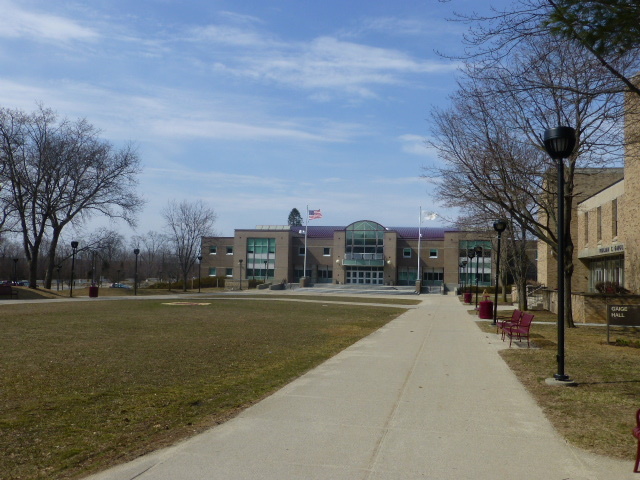 Freshmen are housed in a centrally located quad: the four buildings are completely connected, including underground passageways. Most rooms are doubles with occasional triples in the mix. 15 West are the student apartments located above the library and a café. The university also owns Hill Houses, old houses with loft ceilings and great views that have been renovated into dorm rooms and shared spaces. Met is the main dining hall (located in the Freshman Quad) where the Admissions Rep, a RISD alum, said that “they actually use spices. I pay money to eat there.” However, if they get tired of the campus food, there are plenty of other places in Providence to eat. The education prepares students for the professional side of being an artist – not just through career services, but through how they teach them to think and create. The academics here require a lot of problem solving and trans-disciplinary approaches. They’ve actually changed the STEM acronym to STEAM by adding “Art and Design” with the idea that ideas are useless unless they can be communicated. A lot of alums are working in STEM disciplines, collaborating with MIT students, etc. They run a full Nature lab of natural-history collections allowing students a hands-on opportunity for a variety of projects. Risk taking and creative thinking are encouraged here. Students create board games, create a solution to real world problems, etc. In Spatial Dynamics last year, students had to create “3D but functional headwear” as part of a competition, and the creations were displayed in a fashion show. 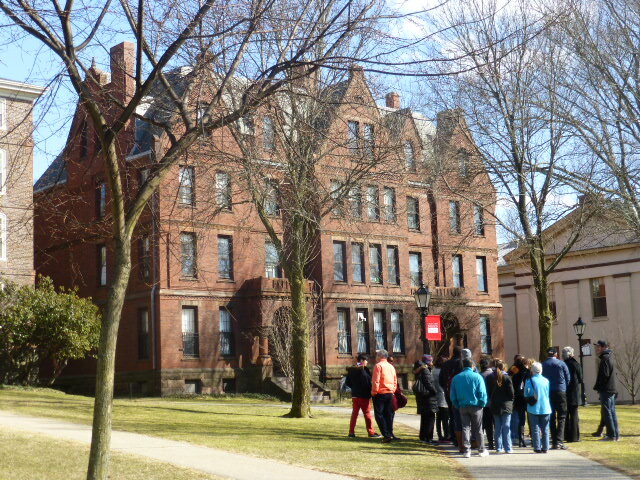 Brown and RISD offer a Dual Degree; students must be admitted to both schools separately and must write an essay explaining why this program is good for them. This is a 5-year program; the first year, they live at one school and take some classes at the other; the 2nd year live at the other school at take classes at the first. After that, they alternate semesters. Right now, they have a student who is Furniture Design major at RISD and studying Music at Brown. She wants to make her own instruments. Students must declare a major by March of freshman year. The Foundation classes average 20 students; other classes average 17 students. 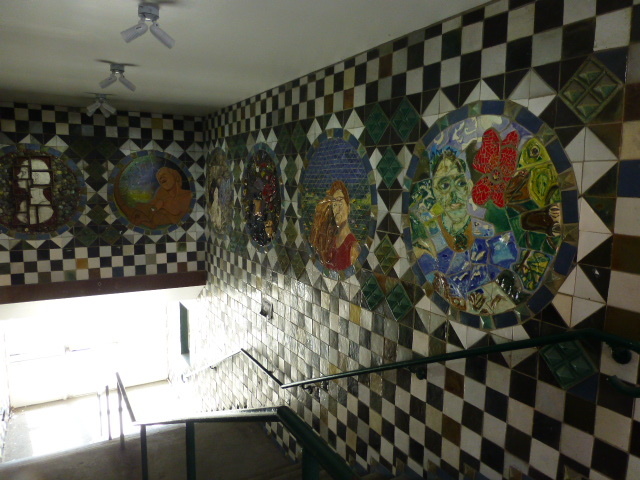 Ceramics and Glass classes are the smallest, reflecting the size of the majors. The school offers BFA in any of the 4 year programs (apparel, ceramics, film/animation/video, furniture design, glass, graphic design, illustration, industrial design, interior architecture). The BArch degree takes 5 years. Students need to complete 42 credits in the Liberal Arts including History of Art and Visual Culture, Literary Arts and Studies, History, Philosophy, and the Social Sciences. If they want, the students can complete a concentration in Liberal Arts. Many take advantage of the cross registration option with Brown. After freshmen year, students can take whatever they want there. Languages and Environmental Sciences (especially among illustration majors) are popular options. Many students also take advantage of the Wintersession to take non-major electives, liberal arts travel courses, and internships. 72% of students do an internship; 54% did 2 or more. Although students will be spending a lot of time on work (“You’ll spend at least as much on homework as on studio work – at least 8 hours a week,” said the tour guide), there’s active campus life beyond academics. The 70 clubs/organizations keep kids busy. They even wrote and produced “RISD The Musical” (you can check it out on YouTube). “We have sports teams, too. They’re not very good . . . except for cycling. We have a lot of hills! But we have a lot of fans. We get a little rowdy!” said the tour guide. RISD is Common App exclusive. Applicants must upload 12-20 images of best and most recent work (done within last couple years). They also ask for 3 images from a sketchbook/journal. Separate from this are two 16×20 hard-copy Required Drawings which should be completed in 1 day, and done on paper to fold up, put in an envelope, and mailed. Drawing 1 is a Bicycle (graphic only); Drawing 2 can be 11 related images (still on 1 page), a 2-sided drawing, or a Drawing instrument. Students can also attend a National Portfolio Day; they recommend bringing a friend or family member to help stand in line since it often takes a while to get seen. Clearly, RISD is doing something right with their education. Ninety-five percent of freshmen persist to sophomore year, and 87% graduate within 6 years. 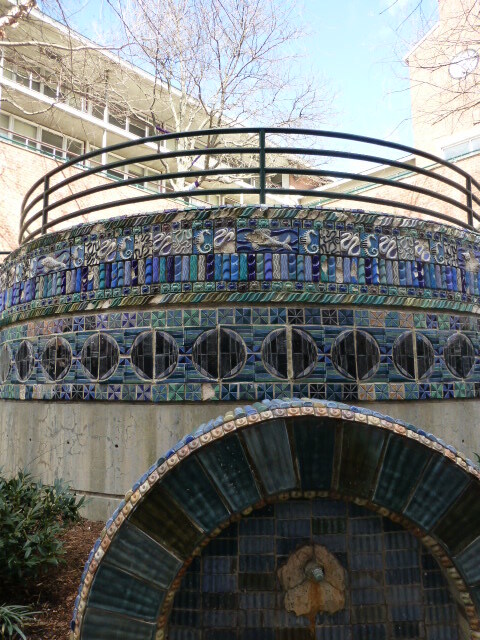 Students and alum have won 9 MacArthur Awards (kind of the Nobel Prize for artists that comes with a $500,000 award) and 50 Fulbright awards in the past 15 years. URI’s attractive and nicely laid-out campus is home to 13,000 undergraduates, approximately 40% of whom are from out-of-state. They offer 100 majors, and like at any medium to large school, introductory classes can be big. Jake, our tour guide, was a nursing major; his biggest class was General Psych with 300 people, but he’s also had an art class with 15. Honors classes tend to be smaller. Students in the Honors College have automatic access to these, but some are open to students who aren’t in the HC but want an additional challenge. Two of their more unusual majors are International Engineering and International Business. Both are 5 year programs requiring students to study abroad for a year. Ocean Engineering is also worth noting; it’s hosted at their Bay Campus and the person who discovered the Titanic is a professor with this program. The Business School is AACB certified (only15% in US and 5% world-wide have this designation). Pharmacy is the most competitive program accepting about 1/10 of applicants; Nursing and Engineering are close behind in terms of popularity. It’s recommended that people apply early for these programs. The CEO of CVS is a URI alum and helps fund the pharmacy program. There’s a Medical Garden in back of the pharmacy building, and they offer a class in medicinal plants. There’s also a 4-year Pharmaceutical science program for people more interested in the research aspects which is less competitive than the pharmacy program. About 6000 students live on campus, and 14 of the 25 dorms on campus are reserved for freshmen who are often housed in triples which can be small. After that, students usually have doubles or live in suites. There are 24 fraternities and sororities, 10 of which have houses with rooms for upperclassmen; some will take “boarders” (independents who maybe didn’t get housing on campus for some reason). Several dorms have Living-Learning communities grouped by major. Between 8pm and 7am, students can only swipe into their own dorms, but during the day, their IDs will allow them access into any dorm on campus. The one-square-mile campus is completely wireless. The main quad has movies, concerts, and even a Quad Cam. “Students will stand out there with signs for parents or friends.” Shuttles run around campus from 7:30 am to 12:30am, but it’s also a walkable campus. Despite the hill, you can walk from one end to the other in 10-15 minutes. Getting off campus is also easy. RIPTA buses run frequently and cost $2 a trip or $30 for an unlimited monthly pass. Students can use this to get to the beaches, Providence, Newport, and more. There are only two full dining halls on campus, and students have to scan their ID and HAND to get in. Despite the number of students, there is seldom more than a 5 minute wait for food, partly because of other options around campus. Kosher food is available at Hillel, and the Emporium has Thai, Chinese, sandwiches, and more. “It’s a popular place,” said our tour guide. There’s also The Corner Store; with 14,000 items, it has the most variety of any store of its type in the country. 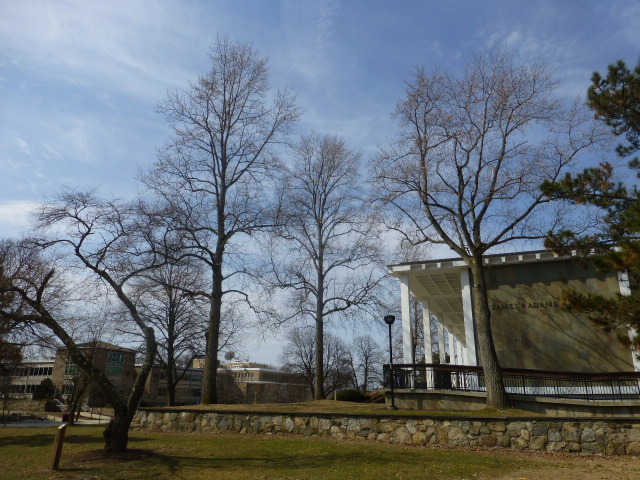 RIC (called “rick”) is the oldest of the three public universities in RI (URI and the Community College of RI are the other two; RIC students can cross-register at either of these). It was founded 150 years ago as a College of Education, and is still known for this, although Communications and psych are also popular. 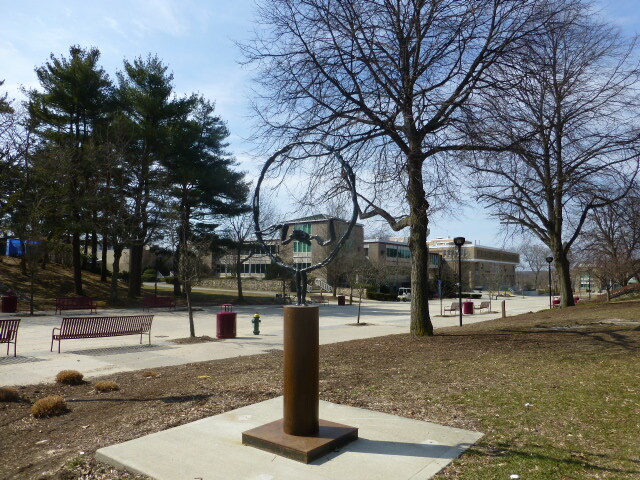 This suburban campus, located less than 10 minutes from downtown Providence, is surrounded by a residential area on one side and a golf-course on the other. A bakery and some stores are a 5 minute walk away, and buses run every 20 minutes into the city. Providence College is down the street, and many more colleges are located in Providence so there are lots of students; many stores cater to college students. The college has an interesting mix of buildings; we parked near the Admissions office, located on the edge of campus. The Saturday info sessions were held in another part of campus, so we had to find our way over there; at first, we weren’t impressed with campus, but as is true with many universities, the edges aren’t the most flattering parts. The main part of campus redeemed it for us, and I think both of us ended up with a much more favorable opinion by the end of the tour. They pull most of their students from RI, but they offer a “Metropolitan Tuition Policy” for people within 50 miles of RI (specified CT and MA communities). Jeff, the Assistant Director of Admissions, said there seems to be a divide in RI: students in the south tend to look at “the University” and the northerners look at RIC. Students from NY, Northern NJ, CT, and MA make up the bulk of out-of-state students (about 20% of the population). Education (including PhysEd). 100% of those who complete the Education program pass the State Licensure tests. Students apply at the end of the freshman year after completing the pre-reqs with a minimum 3.0 GPA. Nursing. The NCLEX pass is “consistently above state and national averages; 95% ranked in the top 15% of all nursing programs in the US.” Like the Education department, students apply at the end of the freshman year after completing the pre-reqs with a minimum 3.0 GPA. Social Work. They offer both a BSW and MSW (the 8th most selective in the country). School of Management. They offer a cutting-edge facility with a well-established internship program, placing interns in more than 50 local leading companies ranging from Fidelity Investments to the New England Patriots. Fine and performing arts. They built a new $10 milion center, and they offer technical theater, dance performance, and a new combined BFA Studio/Art Education program. There are no mass lecture courses except for one bio and two psych classes with about 150 students. 99% of the classes are capped at 30 students. They now offer evening classes to make sure students have access to classes they need and want, and to keep class size down. Housing is guaranteed for all freshmen and for out-of-state students for all 4 years. Currently, only about 1200 of the 7000 students live on campus, but they’ve doubled the number of students on campus and built a new dorm (336 beds) a few years ago because they had a waiting list. They’re currently doing a feasibility study for a 7th dorm. Many tend to live on campus for a year or two, but campus is so easily commutable that they end up moving off. There is some unofficial off-campus housing, and sometimes people will share houses with Providence College students. Admission decisions are based primarily on an applicant’s academic record; they look for a 3.0-ish average. They require test scores but say that these numbers are AN indicator – not THE indicator. To be invited to the Honors College, students must be in the top 20% of the class and have a 1200 SAT. This is an automatic consideration based on admissions applications. Honors classes average 12-15 people. The Presidential Scholarship ($2,000-$4,000) is awarded to students ranking in the top 30% of the class and a minimum 1100 SAT or 24 ACT. They also have several talent awards (communications, theater, etc.) which do require a separate application. The tour guides (we had 4!) were pleased with activities on campus, and mentioned several things like Anchor Madness (class competitions); the Wednesday “Free Hour” (12:30) with events on the quad like paint ball, a rock wall, build-a-bear, block party with a mechanical bull, and exotic animals; trips to places like Nantucket, Boston for a Buck, NYC, and Montreal (students will sleep outside the Union to get tickets for this); and more. We commented on the fact that there was NO ONE around; it was so quiet, we thought they were on spring break. They insisted it was “still early” on Saturday (it was going on noon) and things picked up later. All students can have cars on campus (with no parking fee! ), so it’s easy to get off campus. The fan base for the 21 DIII teams is large. Games are held at the Murray Center, located at one end of the main quad. The new Rec Center with general work-out areas is at the other end of the campus.